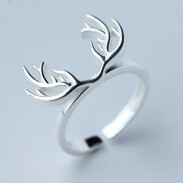 Personalized Carved Rabbit Animal Ring is a cute gift. Calling all rabbit lovers! 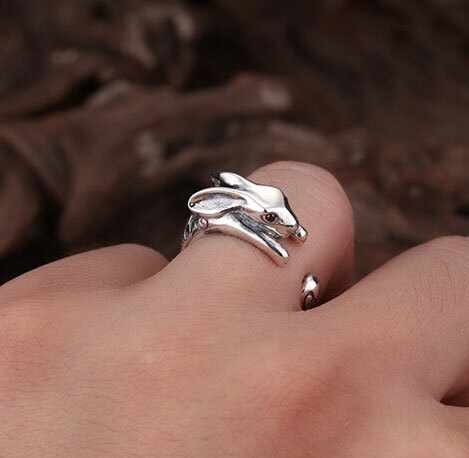 This Silver rabbit animal wrap ring is slightly adjustable with a gentle squeeze. She is sweet with rhinestone eyes as this clever bunny relaxes on your finger and the tail wraps around your finger. Luckily my ring fingers are the same size, so nice! 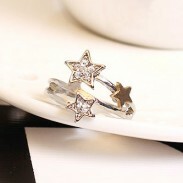 Hi, can I adjust the size of the ring? I got i today. 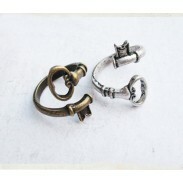 ByGoods Reply:Hi, yes, you can adjust the ring size. 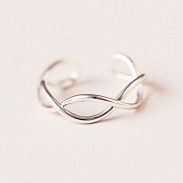 It is an opening ring. Hi, can I adjust the ring? I got i today but can't wear. ByGoods Reply:Hi, you can adjust the ring. Please try to adjust. Thank you.